Friend and i were sitting outside. 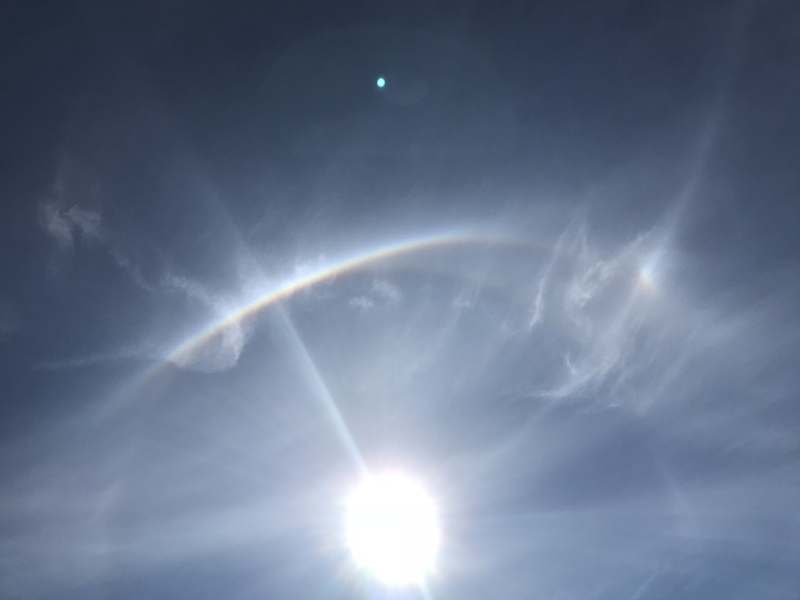 she looked up and made a comment about the white ring around the sun. 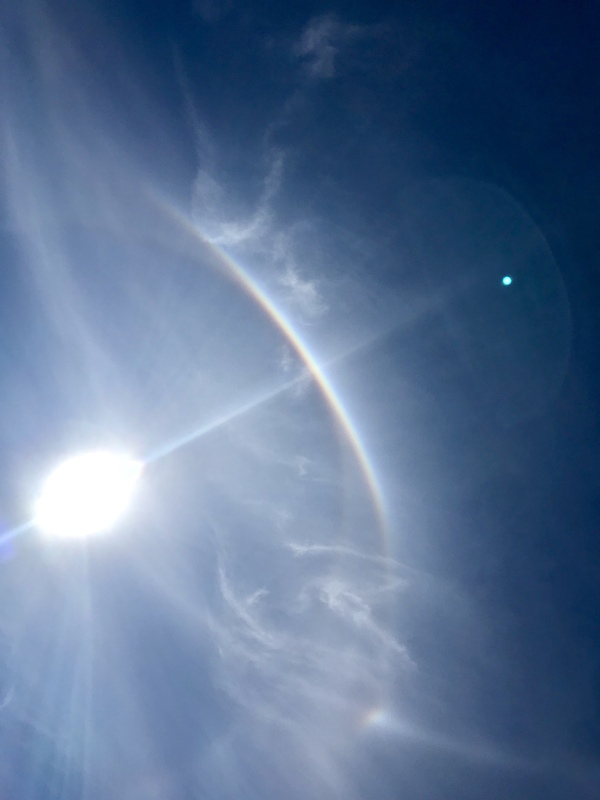 when i looked up i saw half rainbow. we both took pics and have the blue object to the right of the sun. it also appears that there is a lighter object down further. the straight line seems curious also.